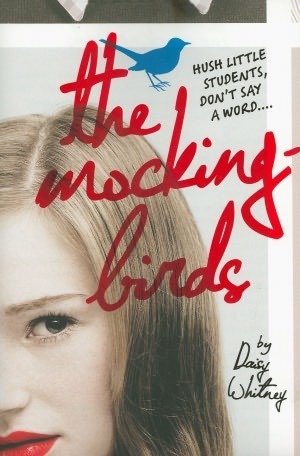 The Cover: The Mockingbirds now has a new cover- I like the new cover more than the old. To be honest, I got the old cover confused with Mockingjay quite often. I think it was wise to change the cover and I think it was absolutely for the better. I wonder if the signature on the front of the novel is actually the authors? Either way, it was a very nice touch to the cover. The Characters: Alex goes through living hell in this book. She is raped and has to go through the process of being a victim, feeling guilt, feeling shame, and coming full circle into being a survivor. It is not pretty, but it is authentic. I loved the side characters in this book: Casey, T.S., Martin, Maia, Amy and others- the author is incredibly talented in created life-like characters. The Story: This is the kind of book that you shake, and probably throw across the floor a few times. I was so engrossed in the story- by the time the climax of the narrative came, I was shaking the stuffing out of my book I was so angry. Not angry because the story was bad, angry because the story was so good I was 100% invested in the characters and they were making me angry. Daisy Whitney is an incredibly talented author and I can't wait to read more from her. Ha! I laughed out loud at the image of you "shaking the stuffing" out of a book.